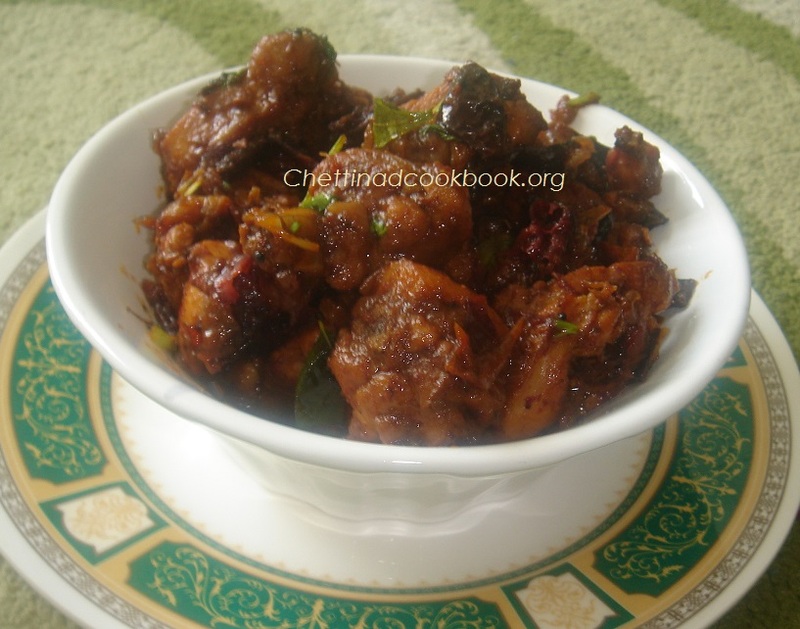 Kozhi Milagu Varuval/Chicken pepper fry/Pepper Chicken:In olden days we get Nattukozhi as common breed at every house in villages,This Nattu kozhi milagu varuval had been prepared especially on sunday,Pepper added along with chicken cures Cough,fever, body pain and relax mood from tiredness after long days work and also whose activities produce gas, irritation, and/or diarrhoea or constipation. 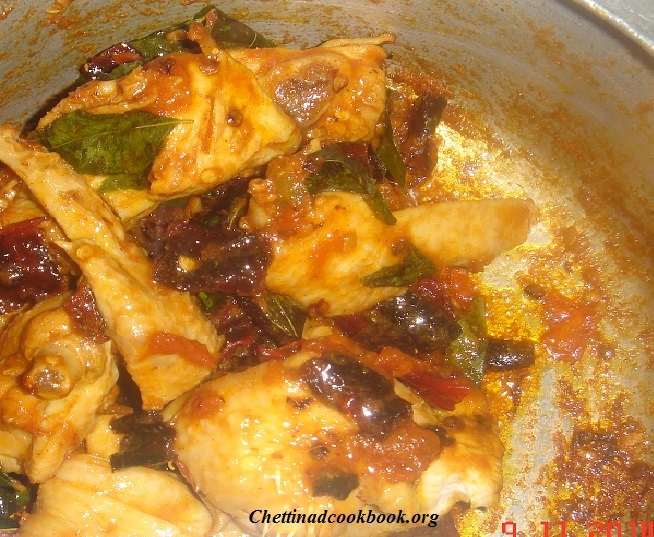 Chicken lovers,try this recipe at home,no wonder you will enjoy this spicy pepper chicken.Marinated Chicken absorbs the strong aroma of freshly ground pepper and gives you wonderful flavour.This recipe adds simple Ingredients to prepare.No worries,you will not feel the taste of burning sensation of Pepper in this recipe. Uses of Black pepper:Black pepper has demonstrated impressive antioxidant and antibacterial effects–yet another way in which this wonderful seasoning promotes the health of the digestive tract. And not only does black pepper help you derive the most benefit from your food, the outer layer of the peppercorn stimulates the breakdown of fat cells, keeping you slim while giving you energy to burn. Black pepper stimulates the taste buds in such a way that an alert is sent to to the stomach to increase hydrochloric acid secretion, thereby improving digestion. Hydrochloric acid is necessary for the digestion of proteins and other food components in the stomach. When the body’s production of hydrochloric acid is insufficient, food may sit in the stomach for an extended period of time, leading to heartburn or indigestion, or it may pass into the intestines, where it can be used as a food source for unfriendly gut bacteria, whose activities produce gas, irritation, and/or diarrhea or constipation. Clean and cut chicken remove skin,Marinate with 1/2 tsp of pepper,Salt ,Turmeric powder and ginger garlic paste,set aside for an hour. Slit red Chilli,if you do not prefer more spicy de-seed it,and cut in to small pieces. Heat oil in a thick bottom pan,add cut red chillies fry slightly brown. Now add cut Onion and Tomato,saute well for a minute. 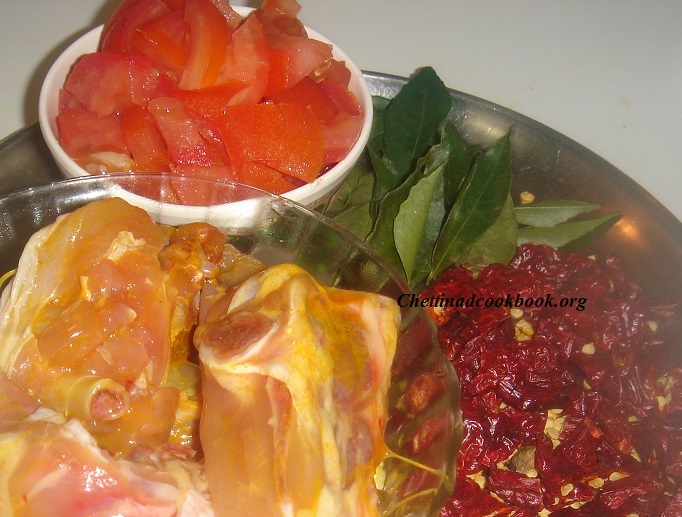 Add Marinated chicken and saute well until the skin of Tomato and red chilli becomes transparent. Add a cup of water close and cook for 15 minutes or until chicken gets soften. Open lid mix rest of the pepper and stir till dry fry . Note:Red chilli added in this recipe gives you different aroma and flavour along with freshly ground pepper.